THE WINDOWS RUNTIME (WINRT) IS AN ENTIRELY NEW framework for Windows that provides developers a multi-language API for creating applications on Windows 8. Windows Store applications are full-screen applications that are tailored for specific devices, touch interactions, and the new Windows 8 user interface. Windows Store applications are also referred to as tailored applications because they adapt to the target device. It is also possible to build traditional desktop applications on Windows 8. The term “Windows 8 application” in this book will refer to the non-desktop, Windows Store version of applications that use WinRT. The introduction of WinRT is one of the largest paradigm shifts in the Windows development world since the introduction of .NET in late 2000. In this chapter, you will look back at prior development frameworks for Windows and learn how the rising popularity of Natural User Interfaces (NUI) prompted Microsoft to respond with the bold new Windows 8 platform. You will learn about Windows 8 applications and the various languages in which they are written. I will also share how existing XAML-based technologies like WPF and Silverlight fit into the new Windows runtime. 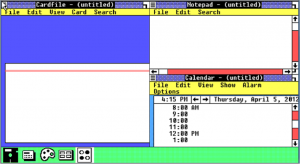 In 1985, the first version of Windows was released without much fanfare. 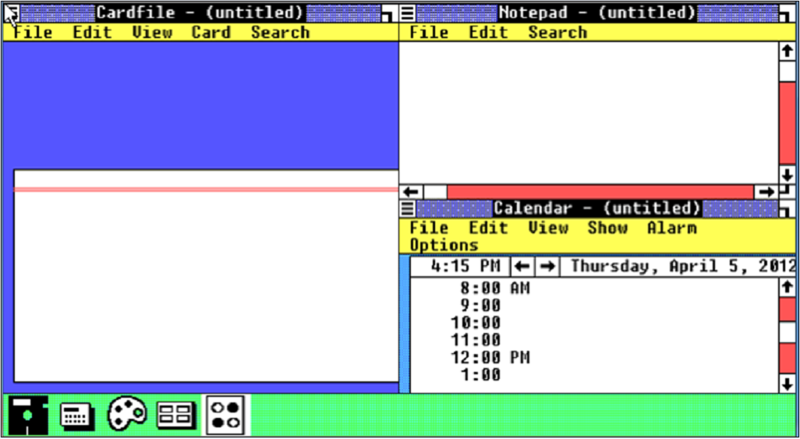 It wasn’t a full operating system, but a layer that sat on top of the console-based MS-DOS and was called MS-DOS Executive, as shown in Figure 1.1. 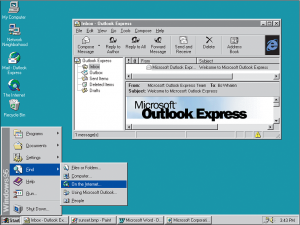 A decade later, things changed dramatically with the launch of Windows 95. Bill Gates appeared on a massive stage in front of the now iconic “Start button” for Windows with talk show host Jay Leno and demonstrated the powerful new operating system. It caught on quickly to the tune of the Rolling Stones’ song “Start Me Up” and left close competitors like Apple behind in its wake. 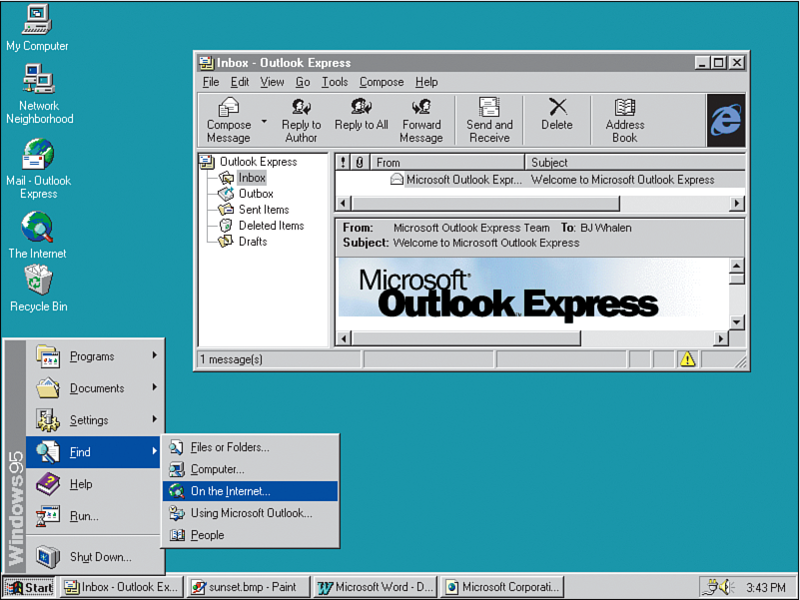 To write software for Windows 95, shown in Figure 1.2, developers used an Application Programming Interface (API) that had been developed several years earlier known as Win32. At the time, Microsoft was bridging the gap between legacy 16-bit systems and the newer 32-bit machines and conveyed the new support in the name of their API. Win32 exists today (now more appropriately referred to as the Windows API) at the core of all Windows operating systems despite the introduction of newer frameworks and platforms that abstract it away. The API was considered extremely powerful and flexible at the time it was introduced but placed a tremendous burden on the developer to handle many low-level operations required to display a form and interact with the user.